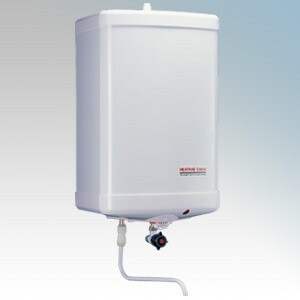 Heatrae Sadia C3M (Order Code 95.030.104) is a medium capacity wall-mounted vented water heater which is ideal for dishwashing and similar applications. It has a white plastic top and bottom moulding with corrosion-proof steel centre section, finished in white stove enamel to withstand the rigours of daily use. With a capacity of 50 litres and rated at 3kW the C3M can be used in open outlet form to supply vented taps or the spout provided. It may also be used as a cistern-fed unit to supply several ordinary taps.